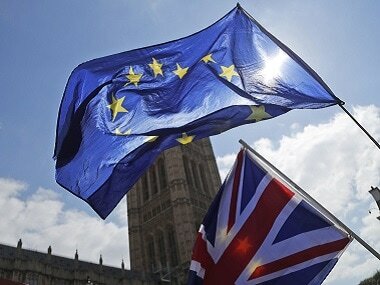 British Prime Minister Theresa May announced earlier this month that her government will trigger Article 50 of the Lisbon Treaty, to start negotiations to leave the European Union (EU), by the end of March 2017. In a referendum held in June this year, just over half the people in Britain voted for a Brexit, which means the exit of Britain from the EU. May's announcement means that Britain will probably leave the EU by 2019. Discussions have now begun on whether Britain should go for a 'hard Brexit', which would mean Britain withdrawing entirely from Europe's single market and negotiating new trade arrangements in order to impose strict immigration controls, or a 'soft Brexit', where Britain would be out of the EU but would retain strong economic ties, make budgetary contributions and allow free movement of people. As Britain embarks on some of its most complex diplomatic negotiations since the Second World War, it is important to note that since the Brexit vote, Britain has lost its place as one of the top five investment destinations, according to a survey. 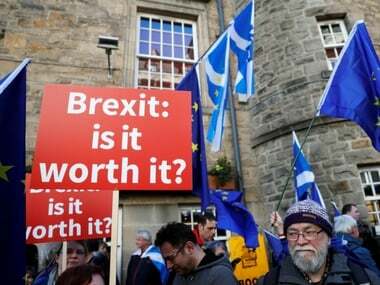 In a half-yearly report of business executives, consulting firm Ernst and Young said uncertainties related to the Brexit vote are discouraging potential investors, particularly from Europe, from planning deals in the country. According to Ernst and Young, Britain is now ranked seventh in terms of investment destination over the coming year, behind the United States, China, Germany, Canada, France and Japan. In the previous survey in April, Britain was second. There are concerns amidst the British lawmakers that the government may be going for a hard Brexit. The government, however, is treading cautiously. It was forced into an embarrassing U-turn earlier this month when it backtracked on a proposal for companies to publish lists of foreign employees that caused widespread outrage. May has also yet to give any clues about what strategy her government is going to adopt for Brexit. 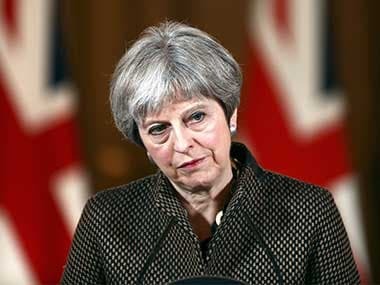 Although she had said she will deliver Britain's vote in the referendum to reduce the numbers of EU migrants arriving in the country and restore British sovereignty, she had also been careful to say she wants the "best deal" for business. According to AP, however, May has signalled that her government would prioritise controls on immigration over access to the European single market, which would be a hard Brexit. But according to The Independent, May has no option but to hide her Brexit strategy. "Theresa May cannot announce to Parliament that she is aiming to get x or y in her Brexit negotiations. If she doesn’t get them, she will look foolish or weak. The most she can do, as Cameron did, is to try to sound out European capitals and Brussels bigwigs privately to see what sort of deal they might be prepared to accept," said the article. 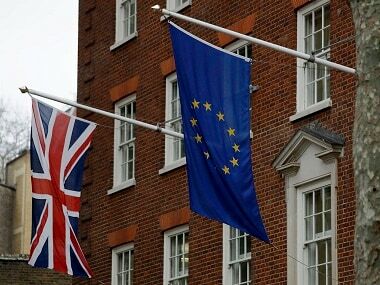 British lawmakers and Opposition party leaders are, however, urging May to reveal her Brexit strategy. Former Labour Party leader Ed Miliband said that the mandate of the referendum did not give any instructions for a hard Brexit. The PM must get parliamentary consent for her Brexit negotiating position. No referendum mandate for hard Brexit nor a Commons majority. Negotiating secrecy won't wash as an excuse.The country has a right to know the government's Brexit strategy and parliament must vote on it. Former Liberal Democrat leader Nick Clegg told the Observer it "would not be remotely acceptable" for cabinet to decide the terms of Brexit without a parliamentary vote. EU leaders have said Britain must accept free movement of people if it wants access to the single market and have warned the negotiations will be tough. Concern that Britain is heading for hard Brexit dragged the pound down to 31-year lows against the dollar last week and prompted business leaders to call on May to avoid breaking economic ties. Norway is instead seen as a possible model for "soft" Brexit, where Britain would be out of the EU but would retain strong economic ties, make budget contributions and allow free movement of people. A report Bloomberg said that according to a ComRes survey, 49 percent of the people in Britain thought that the government should prioritise getting a good trade deal with the EU whereas 39 percent felt controls on immigration should be the top priority. A smaller survey for Open Britain said that 59 percent wanted to stay in the single market whereas 41 percent wanted to leave the market.